Visitation for James Doll will be on Monday, October 1, 2018 at The Daleiden Mortuary, 220 N. Lake St., Aurora, IL 60506 from 3PM - 7PM. 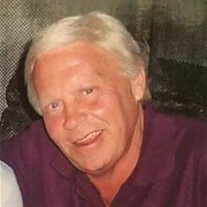 The family of James R. Doll created this Life Tributes page to make it easy to share your memories. Send flowers to the Doll's family.